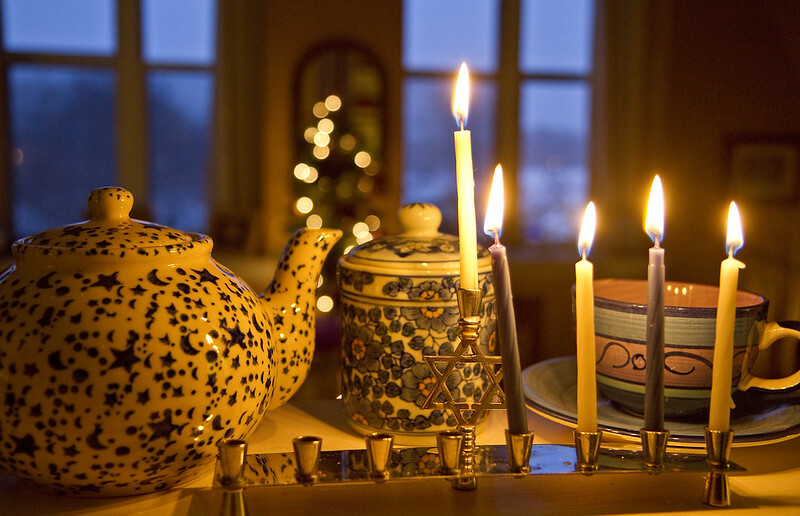 We're quickly hurtling toward Christmas but Hanukkah has come and gone. 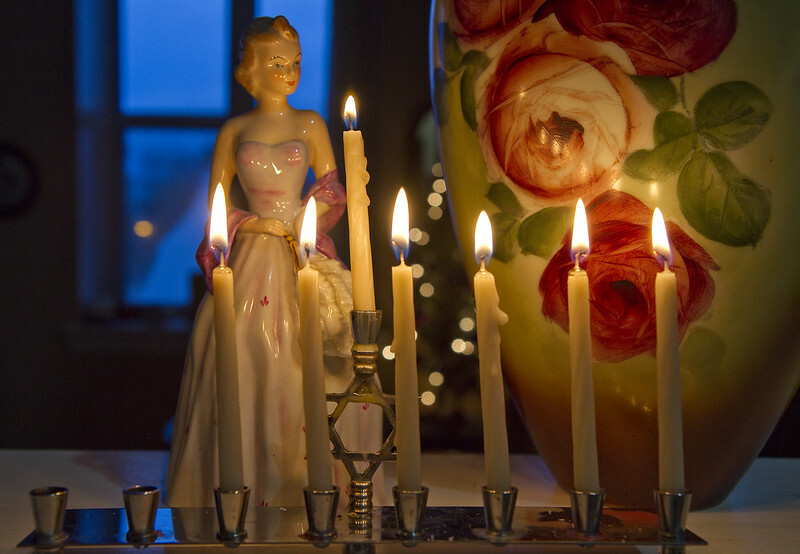 I get a kick out of staging some photos of each of the eight nights that the menorah is lit. 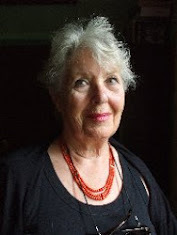 Those images are below. 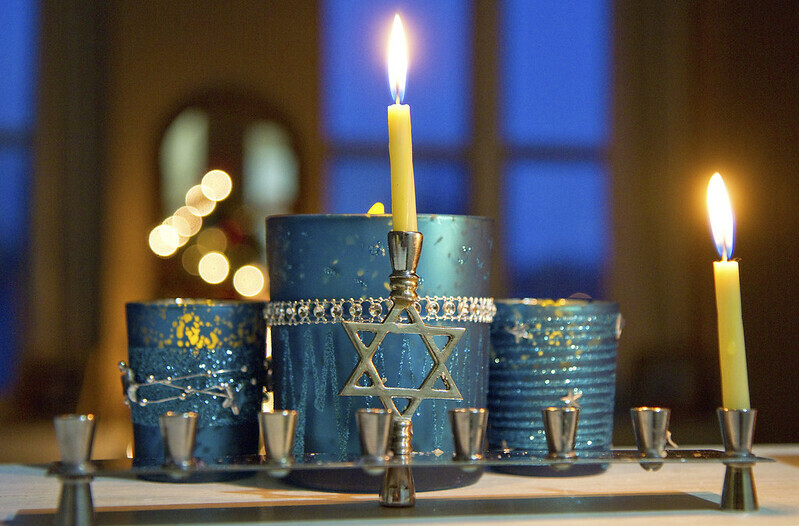 On Hanukkah, the first dark night, light yourself a candle bright. I'll you, if you will me invite, to dance within that gentle light. Night Number One: A last minute purchase of a few cheap candle holders from the dollar store to act as a glittery turquoise backdrop for the first candle. A candle is a small thing. But one candle can light another. And see how its own light increases, as a candle gives its flame to the other. Night Number Two: My Hanukkah candles match the ivory tones of a candle-lit lamp and a picture frame featuring my much-missed Skittles. Night Number Three: An odd little collection of items - a bedazzled little gecko, a tiny jar with a collection of feathers and a gold-dipped rose from a love long ago. 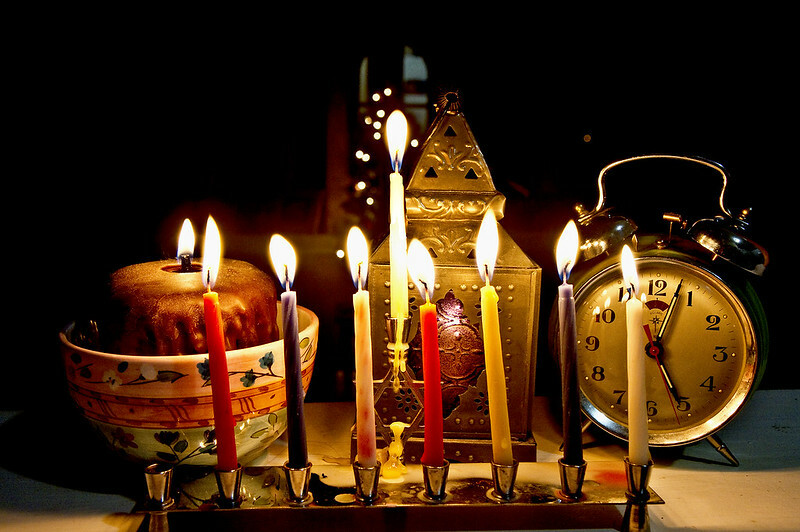 Why Hanukkah is better than Christmas: It's much quicker to clean the wax from your menorah than it is to vacuum all the pine needles. No reindeer poop to shovel from your roof. And nobody will send you a video of dogs barking "The Dreidel Song." Night Number Four: Anyone for a cup of tea? Here's a cup just for you and some sugar if you wish. All three pieces are second hand finds. 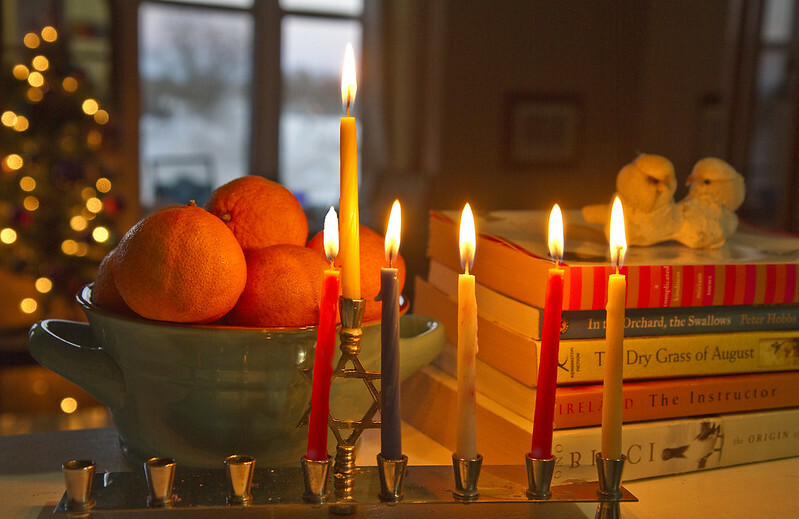 Night Number Five: Settle in for a night of reading and munching on mandarin oranges. Night Number Six: Remembering my Mom on this night. The figurine and vase were hers. Each take up their own place of honour at my home. The humour in some of these quotes is a nod to my Dad. Eye rolls are most appropriate. Night Number Seven: More yard sale and thrift shop finds. A bowl with a fat candle, a lantern with tea light and an alarm clock - just because. Night Number Eight: On the last night, a little bit of whimsy. 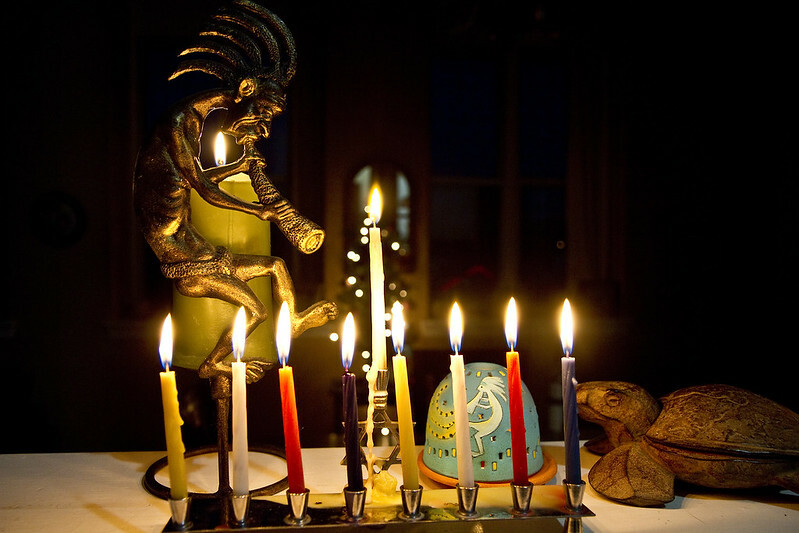 A candle-lit Kokopelli mirrors its smaller self on the turquoise clay tealight holder. Watching them play, is a wood sea turtle with shell that allows you to hide small treasures beneath it. The latter two are from yard sales but the larger Kokopelli was a gift. 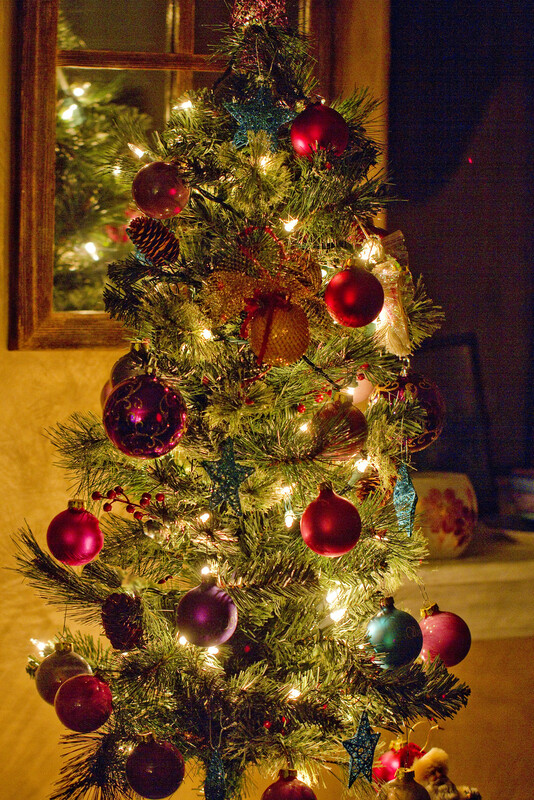 Tree decorating with cats: O Christmas tree, O christmas tree, your Ornaments are history! 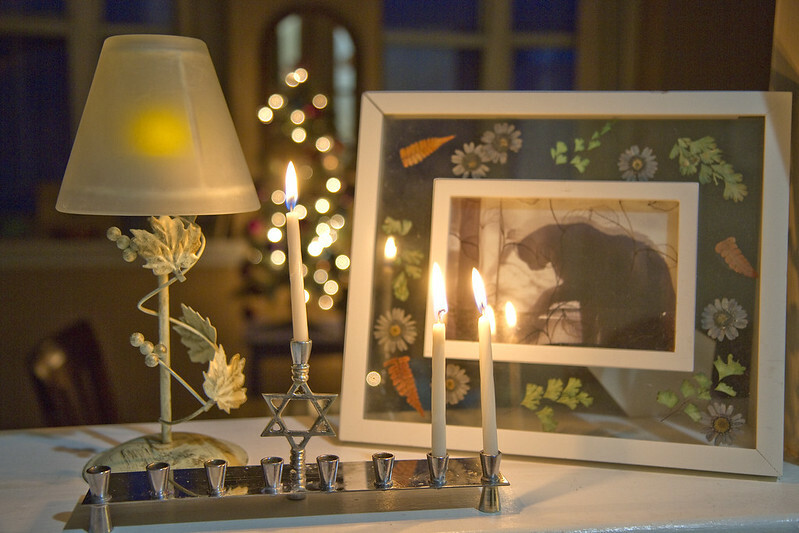 And this little tree provides the mini lights you see behind the menorah in most of the above photos. 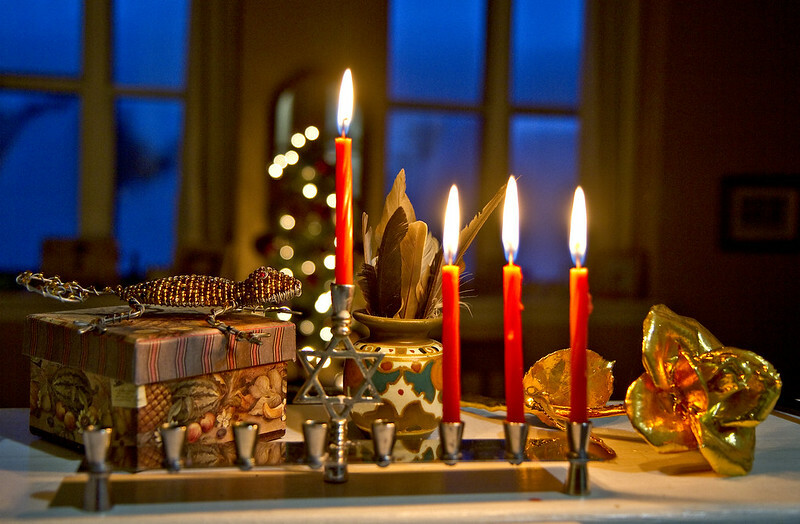 For those who celebrate, I wish you a belated Happy Hanukkah, a Merry Christmas, a Happy Solstice and a very Happy New Year. Thanks for sharing the seasons (at least in part) with me.